Susan Briggs Wright’s enthusiasm for true stories about real people was sparked in early childhood, “interviewing” her Norwegian great-grandmother. Susan grew up in <?xml:namespace prefix = st1 ns = "urn:schemas-microsoft-com:office:smarttags" />Eau Claire, Wisconsin and majored in Psychology at Stanford University. After graduating from the Columbia University Graduate School of Journalism, she joined WOR Radio/TV in New York as an apprentice in TV documentaries with historical themes. She then produced a leading drive time radio program combining newscasts with appearances by celebrities and newsmakers. Upon moving to Houston, Susan joined NBC affiliate, KPRC-TV, covering consumer affairs, courts and medicine. As a managing producer/anchor at Houston’s public television station, she won awards for in-depth treatment of political, business, historical and social issues. She pursued her interest in business personalities and trends with a monthly column “Image” in The Houston Business Journal and taught journalism writing laboratories at the University of Houston. In public relations and corporate communications, Susan has worked with executives, professionals and public officials from a wide spectrum of businesses and professions, to enhance their writing, speaking and media relations. Whether untangling complex issues, ghost-writing white papers, crafting executive speeches or compiling success stories, her work captures the individual’s own narrative voice and point of view. Susan has been collaborator, mentor, and editor for two privately published family projects: From There to Here, her mother’s family history and Life and Times of a Trucking Pioneer, her father’s memoir. 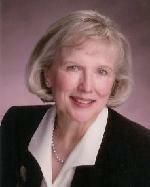 In addition to working with private clients, Susan is on the faculty of The Women’s Institute of Houston, www.wih.org.